Founded in Dresden, Germany in 1912, by a Dutch national Johan Steenbergen, Ihagee Kamerawerk (Ihagee from IHG, initial letters of Industrie und Handels Gesellschaft) was one of the largest photographic companies in the world, best known for the Exakta brand, first used on their revolutionary small format SLR (single lens reflex) of 1933 which used 127 format roll film. 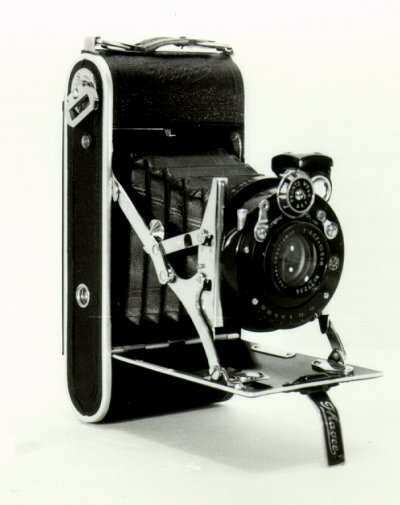 In 1936, Ihagee produced another world first, the first miniature format SLR which used the new 35mm film cassette (derived from cine- or kine-film), also named Exakta (or Kine Exakta). Ihagee continued after the war to develop SLR cameras using the brand names of Exakta and Exa until they were finally engulfed by the State-owned Pentacon company.